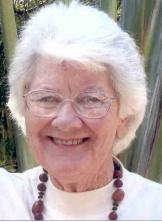 Mrs Hazel Wilson OAM, with six other ladies from Gymea Congregational Church and the then Member for Hughes, Leslie Johnson AM, formed the Aboriginal Children’s Advancement Society at a public meeting held in the Miranda School of Arts, in February 1963. Due to the efforts of Hazel and her willing supporters the principle aim of the Society, the building of a hostel to enable Aboriginal children to attend high school in the city was accomplished within four years. The first stage of Kirinari Hostel was opened on National Aborigines Day, July 1967. Extensions followed over the years culminating in the opening of the Bert Groves Wing on 22nd May 1971. Hazel has maintained an interest in Aboriginal affairs ever since. Many of the advances and opportunities available to Aboriginals today are due to her tireless efforts as a Public Servant and Sutherland Shire Councillor. Although now enjoying retirement Hazel is still active in the Reconciliation movement and is always available to give advice and encouragement to anyone who believes in the advancement of our indigenous people. Aboriginal youth for more than 50 years. This is tried and proved practical reconciliation.